Individuals who participate in our detox and treatment programs are given the support to overcome addictions and become sober. During this time of healing, Pat Moore Foundation arranges special excursions so that individuals might also enjoy the many activities that Orange County has to offer. These excursions help ease the transition back into mainstream life and socialization with the therapy of "fun". 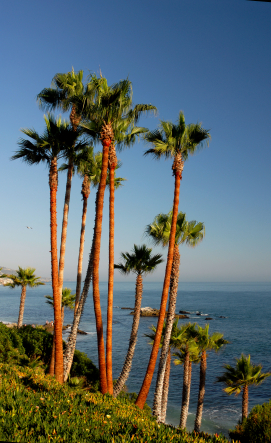 Following is an overview of all that Orange County has to offer. Not only does Orange County have the most spectacular coastline in Southern California, it has so many activities and attractions that even the most adventurous spirit is sure to be satisfied. Its colorful beach communities offer plenty to explore. From the quaint shops and restaurants of Dana Point Harbor to the busiest seaport in the Pacific, the Port of Long Beach, there is always something extraordinary to see and do. There are the beautiful seaside villas bordering the upscale artist’s colony of Laguna Beach, the celebrated shopping and trendy eateries of Newport Beach, and the surfer inspired boardwalks of Huntington Beach pier. Another great way to enjoy the best Orange County has to offer is to visit one of its acclaimed theme parks; including Disneyland and other world famous tourist attractions. The climate is not so bad either, with wintertime highs of 65 degrees and summertime temperatures that are more often than not warm and sunny. Whether you want to just soak up the sun, or you would rather do some major sightseeing, Orange County has excitement around every corner!